Right now, you are only 7 ingredients and an easy 7 steps from having deliciousness in your mouth. This quick and lazy pumpkin pie is basically cinnamony goodness, with a texture that almost resembles cheesecake. Creamy, and practically melts in the mouth. Fancy giving it a go? Well, read on..
Saying that, if you're a chef or more of an Ina Garten over Nigella, I'd advise you to look away now. This is your basic "cheat" pumpkin pie recipe, but adapted to suit my laziness.. I mean.. preference. You'll probably end up crying over my mistakes or broken rules, which I am more than willing to put up with if it means you'll make me pie yourself. But if you're just going to complain.. Don't be a Halloween Grinch. To the rest of you folks, enjoy! Preheat your oven to Gas Mark 7. Beat together your eggs in a large bowl. Add in 3/4 of the can of pumpkin. Once incorporated, slowly add in your dry ingredients and condensed milk. Make a face over how much this mixture resembles baby food, and poor into your awaiting ready made base that a factory was kind enough to make for you. Put on the middle shelf of your oven for 15 minutes, then lower the temperature to Gas Mark 4, Bake for a further 35-40 minutes, but check it throughout. You want a little bit of jiggle, but make sure a knife inserted into the centre comes out clean. Place on a wire rack, wait for it to cool down and delve in! It supposedly keeps up to 4 days in the refrigerator. 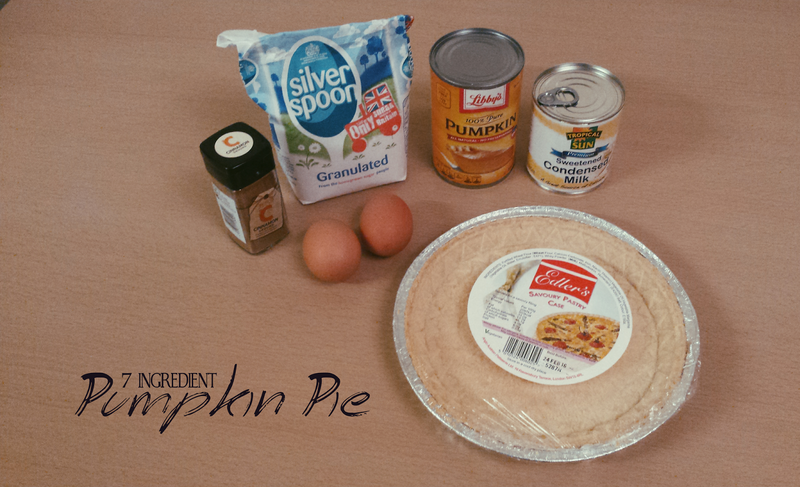 I'll be honest, I was hesitant to try this out as I'd never made a pie/tart before, nor had I tried pumpkin. I'm more of a cookie/brownie/muffin girl. It was a failure waiting to happen. Alas, it worked out and has given me the urge to step out of my comfort zone when it comes to baking. My moods have been atrocious over the past few weeks, and I find baking to be very relaxing. It shuts my mind off, even for just an hour. The result? Happy family and co-workers with full stomachs. Nothing wrong with that. 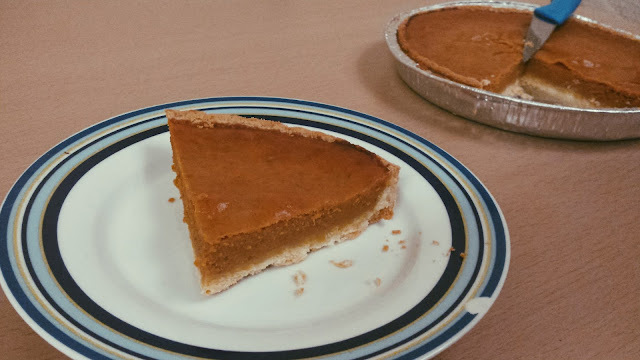 I am tempted to attempt to make a pumpkin pie from scratch over the holidays, so perhaps there will be an updated (and likely far more complicated) version of this blog post. Who knows? 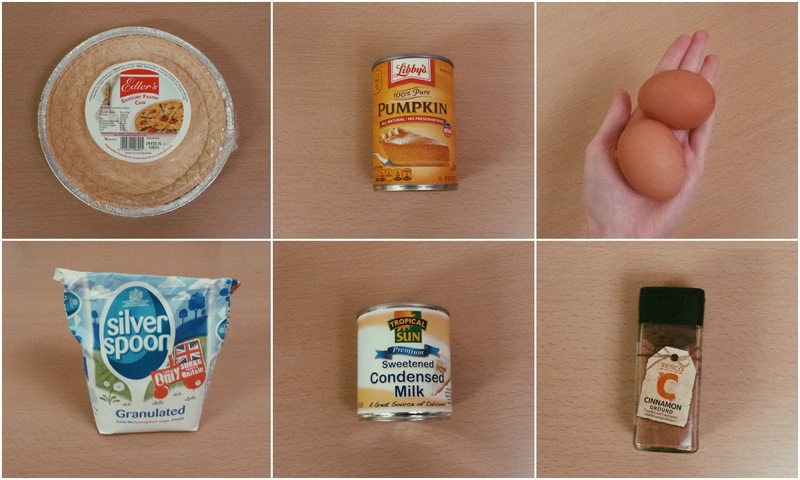 Happy baking (and yes, this counts!). Hope you all had a wonderful Halloween.